Some posts on this site contain affiliate links, meaning if you book or buy something through one of these links, I may earn a small commission (at no extra cost to you!). Opinions are always my own and I’ll never promote something I don’t use or believe in. One of the 6 pools at the Fairmont Scottsdale Princess! 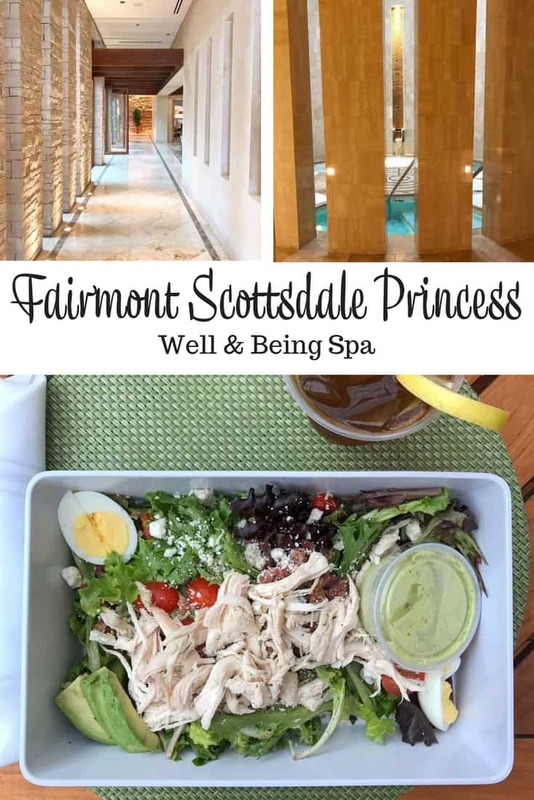 The 36 hours I spent at the Fairmont Scottsdale Princess felt very much like a belated birthday present. 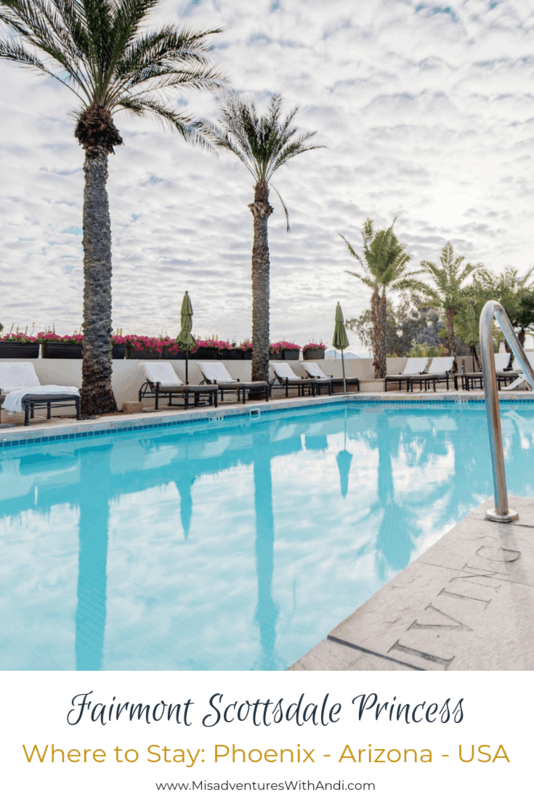 It’s one of the many luxury resorts you find in the Phoenix-Scottsdale area. I found myself there a week after my real birthday. I was wined and dined like a queen, or at least like the 3 Boston based mega-grammars whose Visit Phoenix party I crashed. I wasn’t really wined and dined. It was more like spa’d and tequila’d and taco’d, but who’s counting? Okay. That is not totally true. I was also wined and dined. Let me tell you all about it. 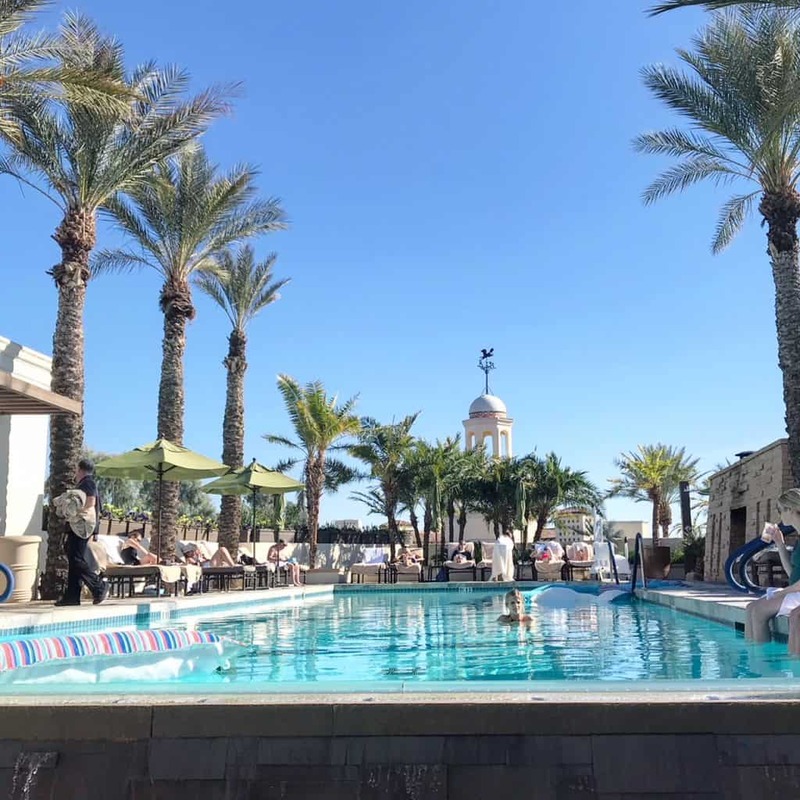 But first, let me just say, after just a brief repose at the Fairmont Scottsdale Princess, I can tell you that if you find yourself in the greater Phoenix area, you are going to want to make this resort your home away from home. There is nothing better after a long day of golfing, rooting for your team during spring training, hiking, or visiting any of my favorite spots, than returning to a hotel that feels like nirvana! Bisby, one of the Fairmont Scottsdale Princess lobby dogs. Like a lot of Fairmont hotels, the Fairmont Scottsdale Princess has a lobby dog. A few actually. I petted them all. Seriously, it’s a requirement. Okay it’s not, but I couldn’t resist. Don’t let Bisby’s sad demeanor fool you, 60 seconds after this shot he was all over me for cuddles! After checking in and dropping my things into my room (which was, by the way, a great room, I just didn’t take any photos. Quite frankly I spent all my time outside of my room that I just fell into bed the 2 nights I was there. But it was an amazing bed!) I met up with the 3 lovely ladies from Boston for a pre-dinner drink and bites at Postino and dinner at Mora. One of the great things about Phoenix in January and February is that you can eat outdoors in the winter. Because the temperature was like 65. So that’s exactly what we did at Postino’s. We enjoyed a glass of wine and a flight of their famous bruschetta all while taking in the sunset. 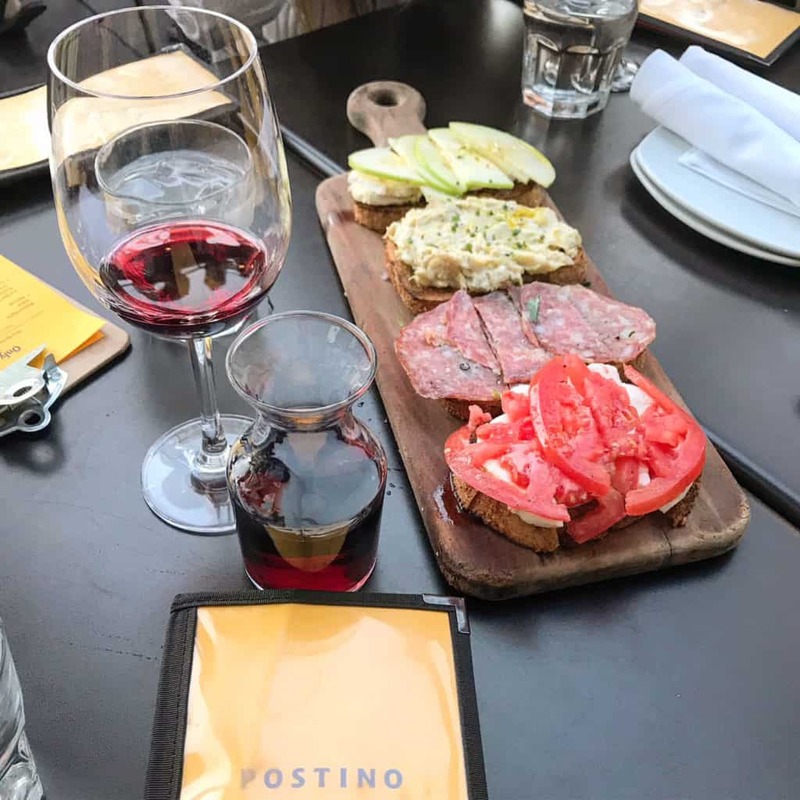 A flight of bruschetta and glass of wine at Postino. Being a huge (Food Network) fan of Chopped, I was thrilled to get the opportunity to try dishes from Scott Conant’s latest restaurant. I learned that he makes damn good pasta, has a great eye for design and isn’t as mean as they make him out to be on the show! Given my low carb lifestyle, I was a little worried about eating at an Italian place, but it was the perfect excuse to have a few bites, rather than a whole plate of pasta. We had three to choose from, so my strategy was smart! 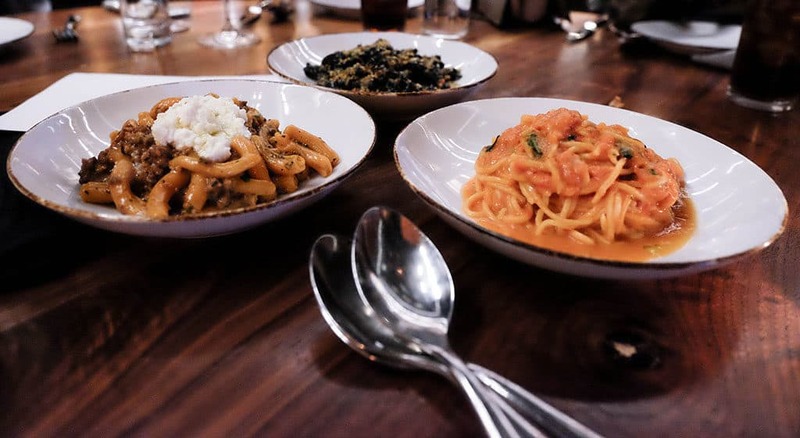 Trio of pastas Scott Conant’s Mora. We had the classic pasta Pomodoro, strozzapreti and my absolute favorite dish, black campanelle. This pasta was made with clams, Fresno chiles, and bottarga breadcrumbs just the right amount of saltiness with a hit of spice. 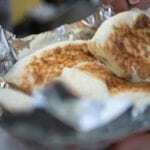 I am still craving it weeks later! After dinner, we went straight back to the Fairmont as we had an early morning ahead of us. 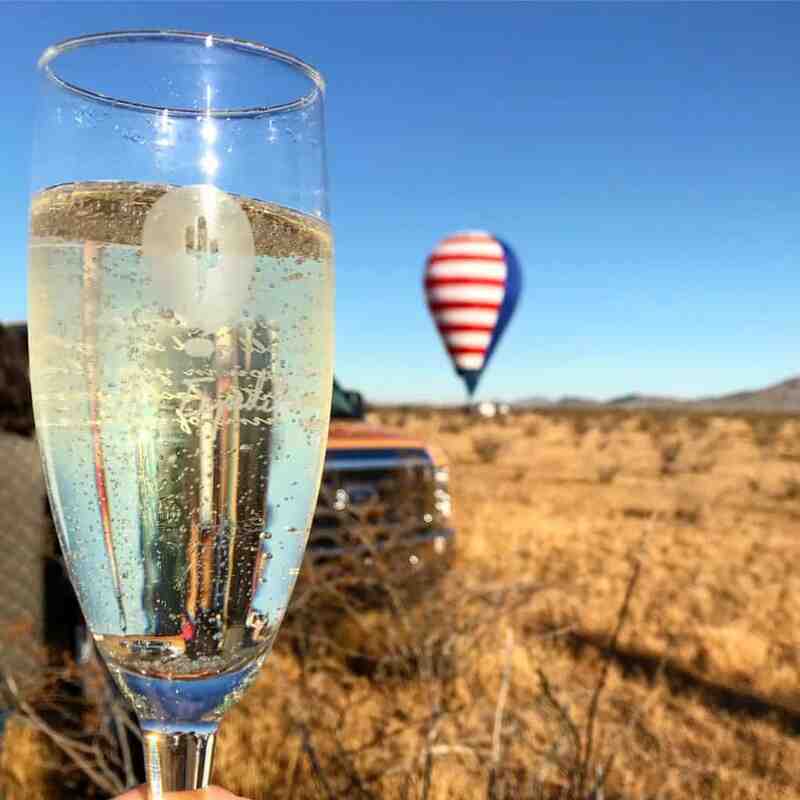 A sunrise hot air balloon ride with Balloons AZ, Hot Air Expeditions! 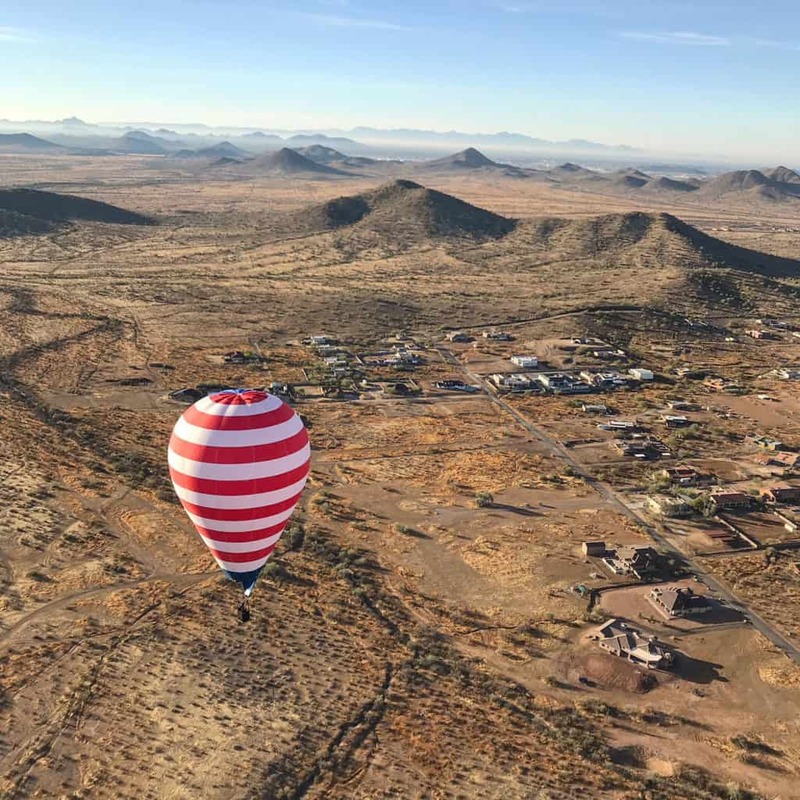 Even though I spent a few days at the Albuquerque International Balloon Fiesta and up in the Ballon de Paris located in the Parc Andre Citroen, I had never been UP in a hot air balloon! I wasn’t nervous, the flight was lovely but uneventful. I think I like the frenetic running around watching hundreds of balloons take off around me, the actual going up was a little anticlimactic for me! The balloons are beautiful and the landscape is pretty, there sure are a lot of nice ranch houses in the area! And what francophile wouldn’t enjoy the post-flight glass of champagne and story of the French brothers who invented the hot air balloon?! After breakfast, we returned to the hotel for a little me-time, aka pool time. 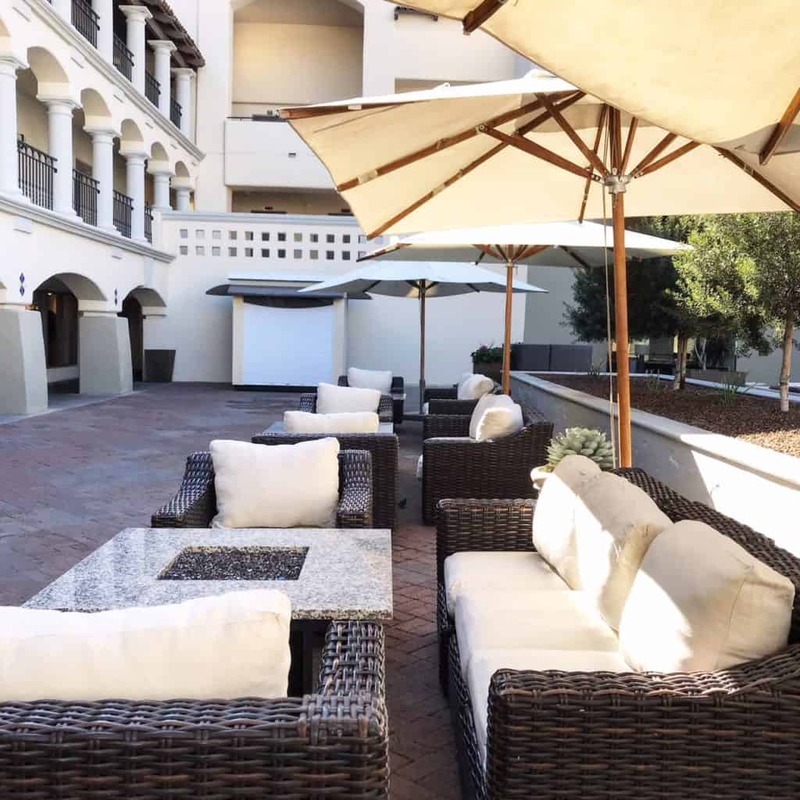 The Spanish architecture and modern hacienda style at the Fairmont speaks to me, so I walked around the resort trying to decide what would be my new favorite spot. The outdoor bar was definitely a candidate. Fairmont Scottsdale Princess outdoor bar. But ultimately, I chose this outdoor lounge area to read a book. I want to take every piece of this furniture home. We’ve been trying to find what we need to make the perfect outdoor space for our new house, and this is it! That was until I saw some seriously cool things in the spa. I want these in my ceiling! Okay, maybe Mr. Misadventures isn’t going to let me turn my office into an aerial hammock yoga studio, but one can dream. 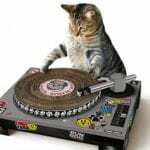 I’m pretty sure that my pal Kristin would be up for this! But back to the spa. Let me just set the record straight. I am not a spa girl. It has never appealed to me. I always skip those areas when visiting a resort, a salon-spa combo for my haircut, or a cruise. But I have been seriously mistaken. And I have the Well & Being spa at the Fairmont to thank for that. I mean come on. Who wouldn’t fall in love with this? I guess I am a sucker for minimalist gold and cream! Never knew that about myself. If I wasn’t already in love with the interior, I fell hard for the spa director who I had the honor of lunching with. 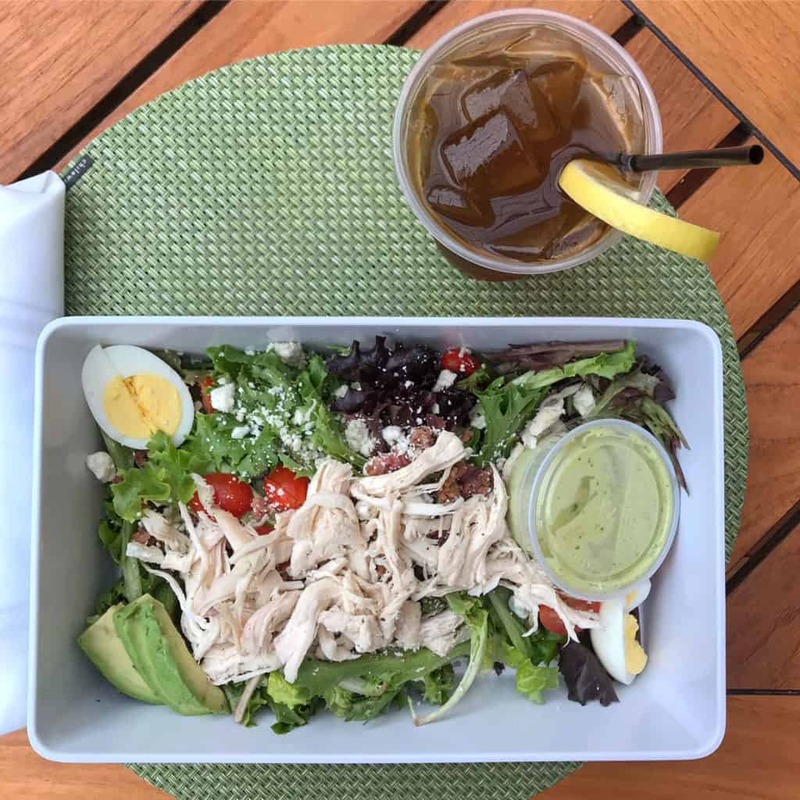 Their approach to food, to wellness, to life was impressive and I soaked it all in as I enjoyed my low carb cobb salad. I can’t tell you how much I appreciated that they actually listed the carb count on the menu! It felt great to be putting such a light and delicious meal into my body after the previous night’s indulgences (although I had no idea there was more to come!). All this eased my mind about my upcoming spa treatment. Given I’d never had one before, beyond a manicure or pedicure, I wasn’t sure what to expect. I did not expect life-changing, but that is what I got. I had the enhanced oxygen facial and it was awesome. My skin had been so dry, a new problem for me given the desert air, so the lovely spa technician restored my skin to something that didn’t resemble leather. She also gave me tips and tricks that have been super helpful for my night time beauty routine. Bonus! And speaking of bonus. 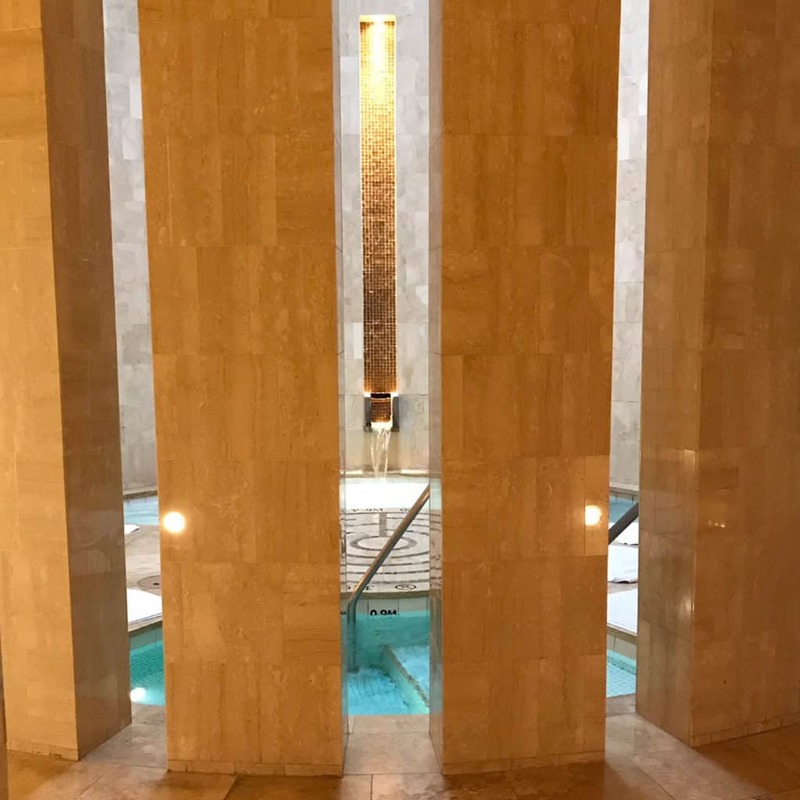 If you have a service done in the salon you have access to saunas, steam rooms, hot and cold plunge pools, a waterfall grotto…and…wait for it, a private pool! As an introvert, I’m all about finding quiet spaces when necessary, thank goodness I’m lucky enough to only live 45 minutes from here. It is going to be my new quarterly escape for some pampering and private luxury. A single experience at Well & Being has forever changed my opinion on spaing…look at me, I am so new at it, I’m not even sure if that is a word! I had a quiet afternoon on the grounds of the resort before meeting up with the Boston babes for dinner. For our last evening on site, we had dinner at the hotel’s original restaurant, La Hacienda. 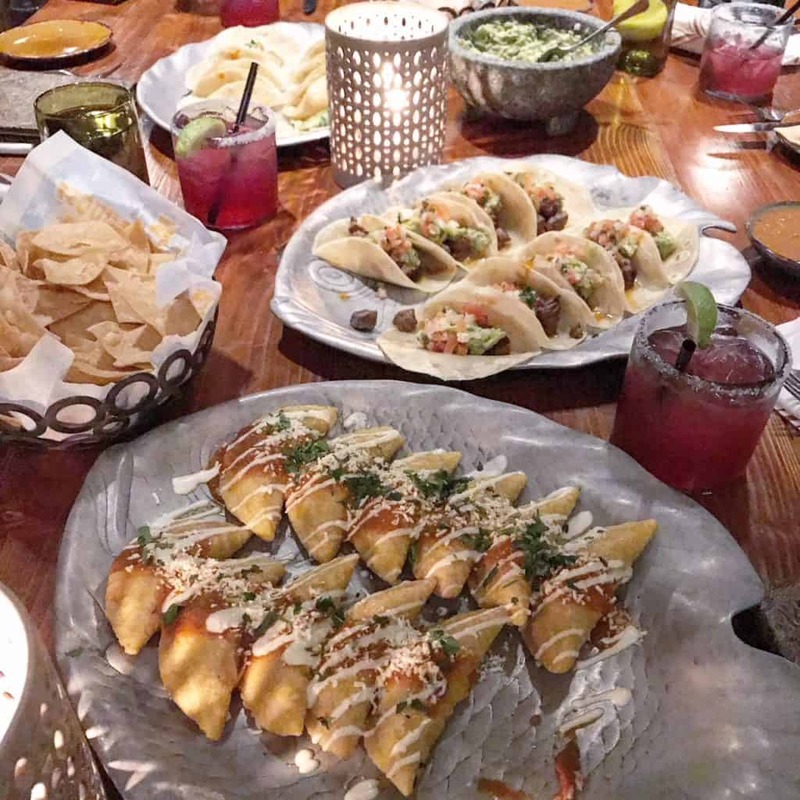 The Fairmont Scottsdale Princess just celebrated its 30th birthday in 2016 and La Hacienda has been there as an icon, a tribute to classic Mexican cuisine elevated with modern touches. Anytime I’m greeted with a plate full of tacos, I’m sold. Eeny, meeny, miny, moe..heck who cares, they were all delicious! 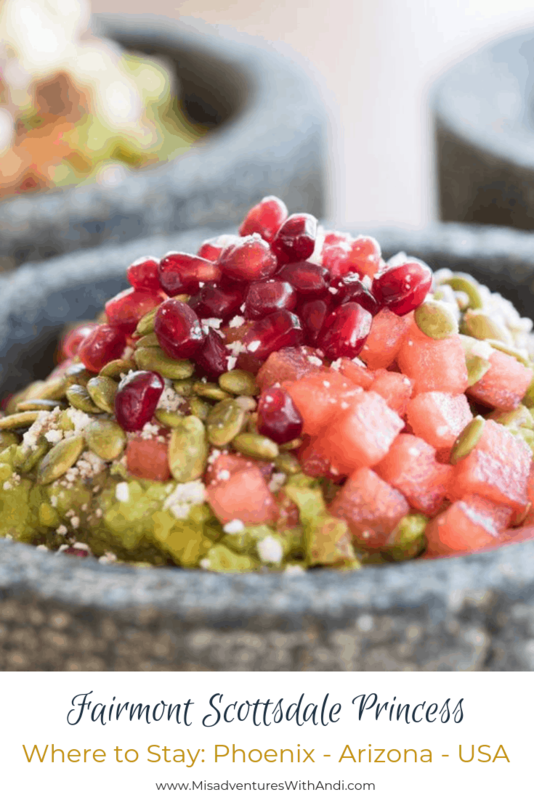 This is not just your average taco joint. La Hacienda has 240 tequila and a tequila goddess to boot. That’s a non-fancy word for sommelier and the ones at this restaurant know their stuff. 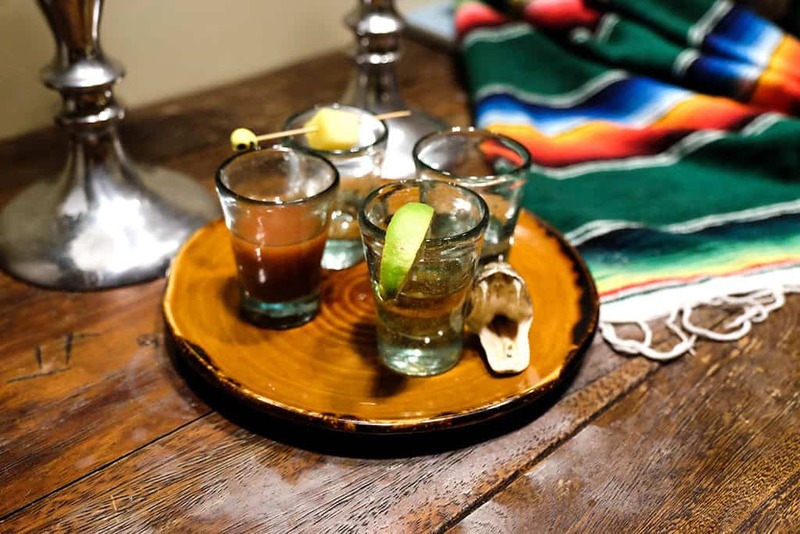 They walk a little on the wild side, but I [barely] survived a flight of tequilas! La Hacienda tequila plate of death! Of course, we had to try some of their famous flaming coffees as well. A bit scary, but so worth it. 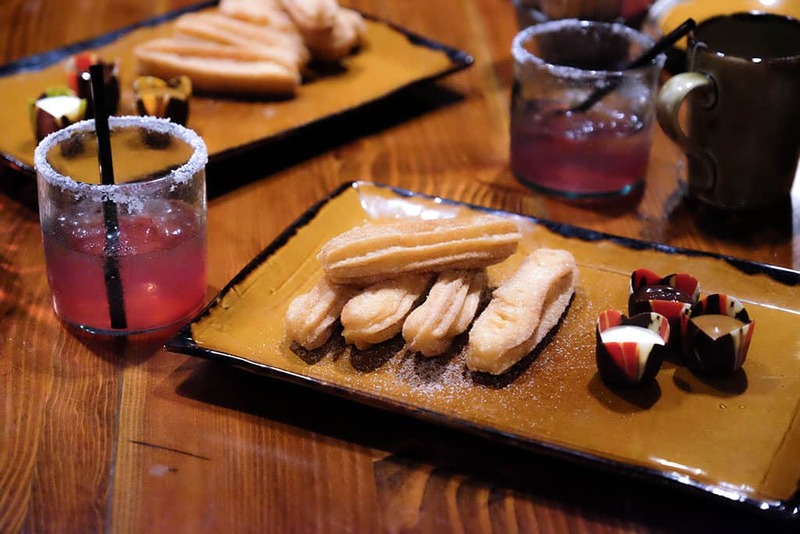 Serve one of them up with a plate of churros and you’ve got yourself a Mexican standoff. It was the perfect ending to a perfect 36 hours at the Fairmont Scottsdale Princess. 36 hours I wouldn’t mind repeating over and over again. My only regret is not getting a chance to try Bourbon Steak, a Michael Mina restaurant on property. 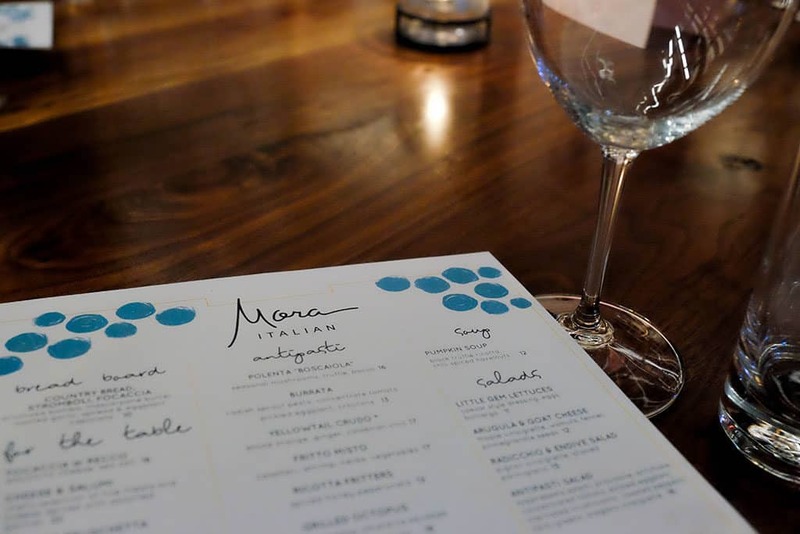 Michael Mina is an epicurean force majeure on the San Francisco restaurant scene. I often ate at Pabu and RN74 (until it closed) while working in the city. Steaks are fantastic for my low carb diet and I’m dying to try it out. But hey, that’s what do-overs are for! 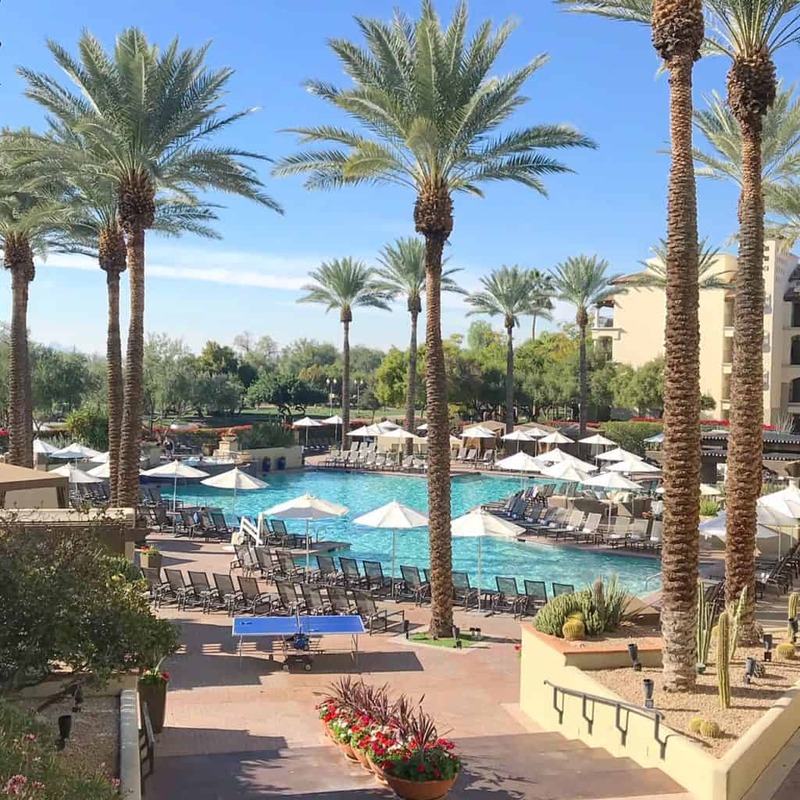 Thank you Visit Phoenix for the magical adventures at the Fairmont Scottsdale Princess, Mora, Postino and with Balloon AZ. How about you? 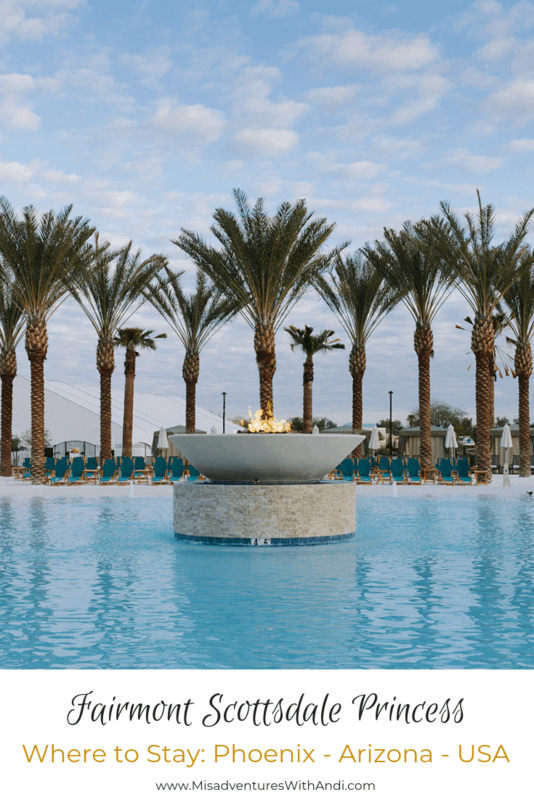 Have you been to Phoenix? Scottsdale? Have you made you want to come and check it? You know you want to, and if you do, don’t forget the 7 things to bring on your trip. The Fairmont Scottsdale Princess has been around for 30 years and I have never heard of it. What a fail. Tacos, Flaming coffees, Aerial Hammock Yoga, Private Pool, Spa a woman’s dream come true. I noticed the Palm trees right away, I so miss them. Not to mention the near by restaurants and hot air balloons. We would probably spend all of our time in the lobby petting dogs because we can’t resist. Fairmont looks like the place to go. Who needs to leave the hotel? There is plenty of attractions right there with the spa! The Hot Air Balloon ride looks amazing!! Great article! 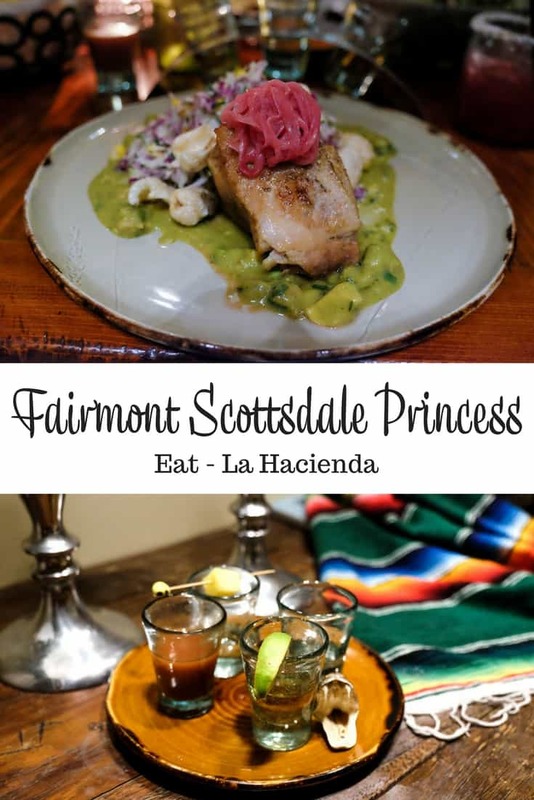 I have always wanted to go to Scottsdale and the Fairmont hotels are always super nice! Looks like you had quite the fabulous time! Tequila shots and tacos? You had me at hello! It looks like the food was absolutely fantastic! Sometimes I’m reluctant to eat at hotel restaurants but I would definitely make an exception here! I’ve been in need of a quick get away and this looks like it would be the perfect place to go! The tacos alone have me wanting to book a reservation! I’ve only been to Phoenix once and don’t recall where we stayed. Must not have impressed me much – this place I’d have certainly remembered! What a nice property! Putting this on my wish list for when I finally make it to Arizona! What an awesome place to be! I have not been to Phoenix yet but I would sure love to do so soon. 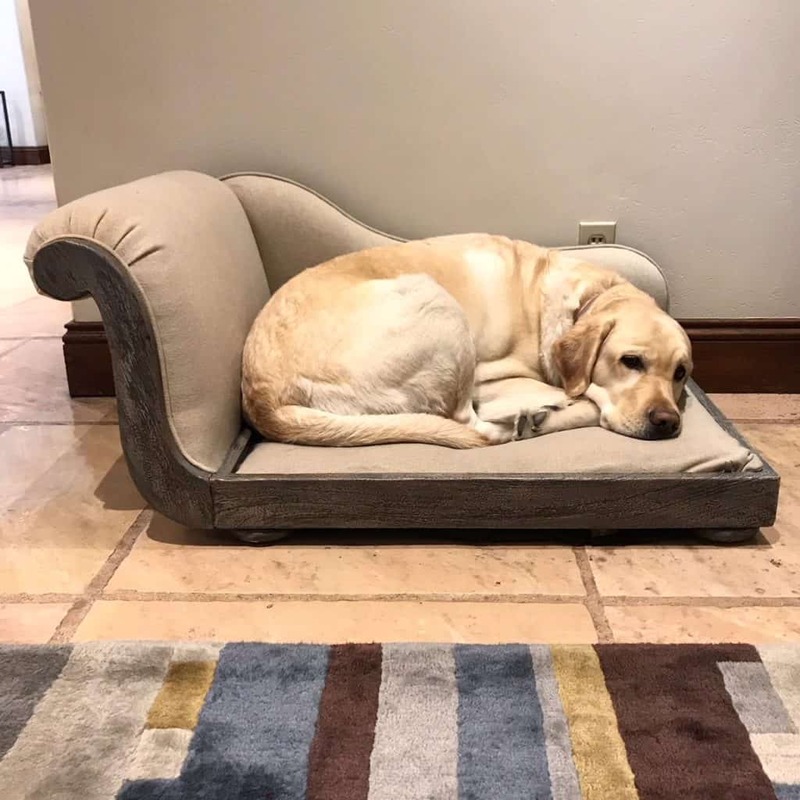 The Fairmont Scottsdale Princess hotel’s idea of reception dogs is so unique. I would enjoy giving those cute dogs lots of cuddles too. What an amazing looking place to get to go and stay – I absolutely love the fact they have lobby dogs as well how cool is that! the food all looks absolutely delicious as well. oh me gee this looks lush! I have serious travel envy right now! The food, the place, everything looks absolutely amazing! Alright I am totally jealous lol. I too have a low carb lifestyle and as long as portions are in control I think it works. The food looks FANTASTIC! When I was a child we drove through Albuquerque once during the balloon festival. It was a sight to see! This place looks like it has everything I would love and I do love eating outside! Dog-friendly places are the only places I would want to stay. My pets are my family! We sure would love to see you and your pup at the BlogPaws 10th Anniversary Conference if you can make it! Look it up or message me for more info! 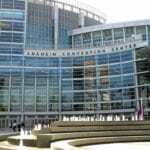 It’s the place to be and Kansas City where it is held this year is amazing! Yeah I agree the food looks fantastic and the place is all packed of beautiful things. If only this place is nearer to me I would love to go with my family there and chill out. What a gorgeous time you had. I would love to watch a hot air balloon at sunrise. I have no desire to be on a hot air balloon but watching them is so much fun. The food looks fantastic, they seem to have a great range of activities and I love the overall ambience and vibe of this place. Lovely! Ooh! 65 in the winter. That sounds really awesome to be able to enjoy warmth in the wintertime. Sounds nice! You had me sold at the lobby dogs. If a place that marketed their lobby dogs, I think they’ll do great! Haha! But you are brave. I would never, ever (maybe not never, but close to it!) go up in a hot air balloon! Eeeek! I love Scottsdale and I love Fairmont so it’s not surprising your pictures have me wanting to book a plane ASAP. 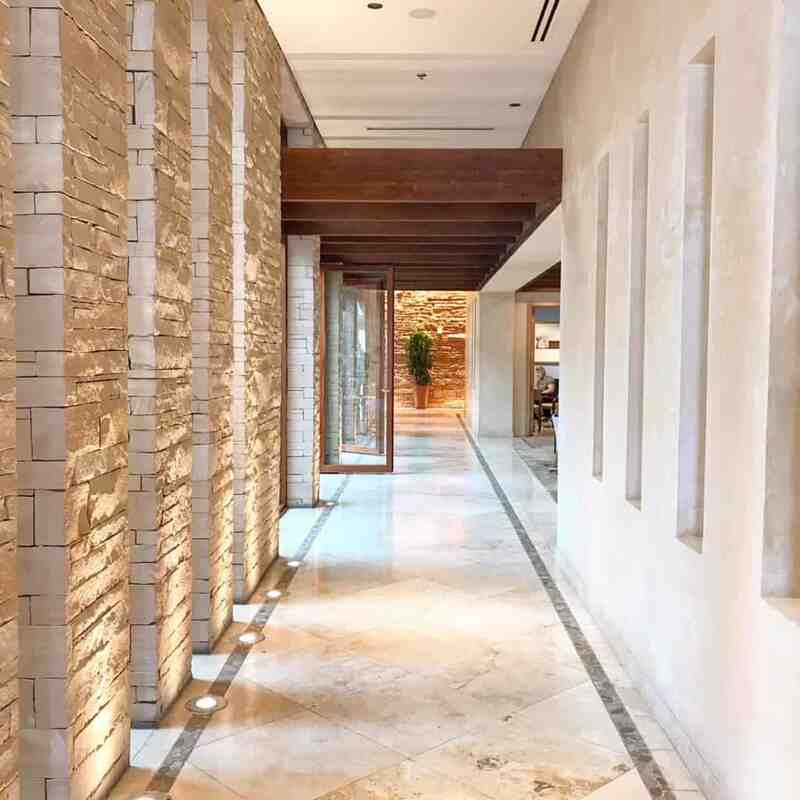 I’m not surprised that you were turned into a spa convert here, Scottsdale has some of the best spas in the country! Wow! Color me impressed! I am so booking Fairmont Scottsdale Princess for my next birthday. It looks amazing! 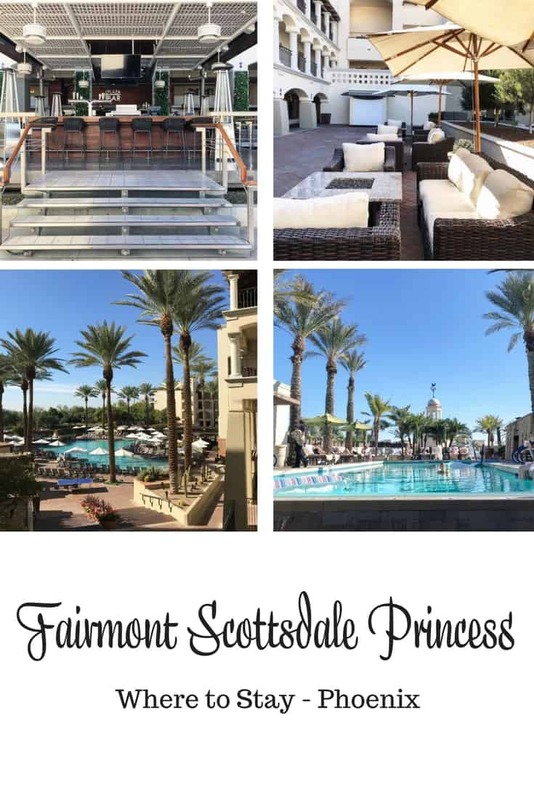 I LOVE the Fairmont Scottsdale Princess and have stayed there myself, with my daughter, with my husband, with my mom and sister – all on separate occasions and all amazing experiences. Their spa is magnificent, and my muscles are now aching for a massage there just looking at the beautiful facilities. So glad you had a good time (how could you not?!) and maybe we should plan another trip there – this time together! It looks like an extraordinary place to visit! 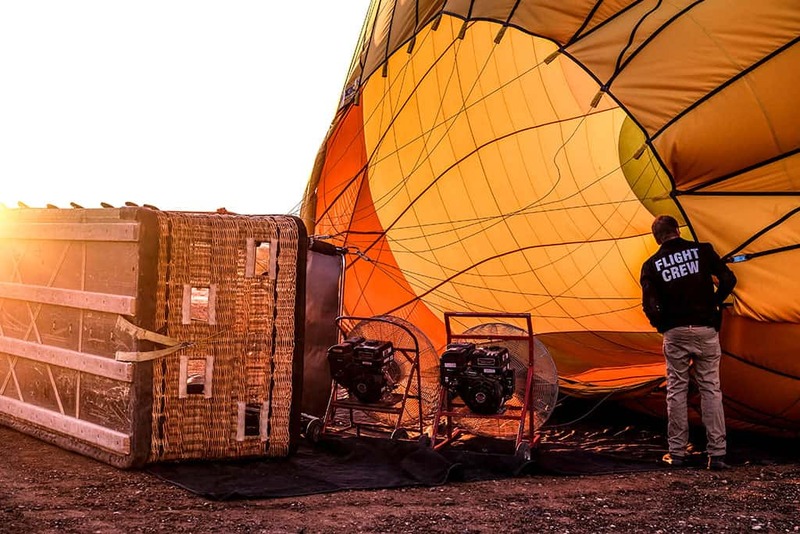 The food looks absolutely divine and the hot air balloon – how fun!! I definitely see why you felt like a princess! 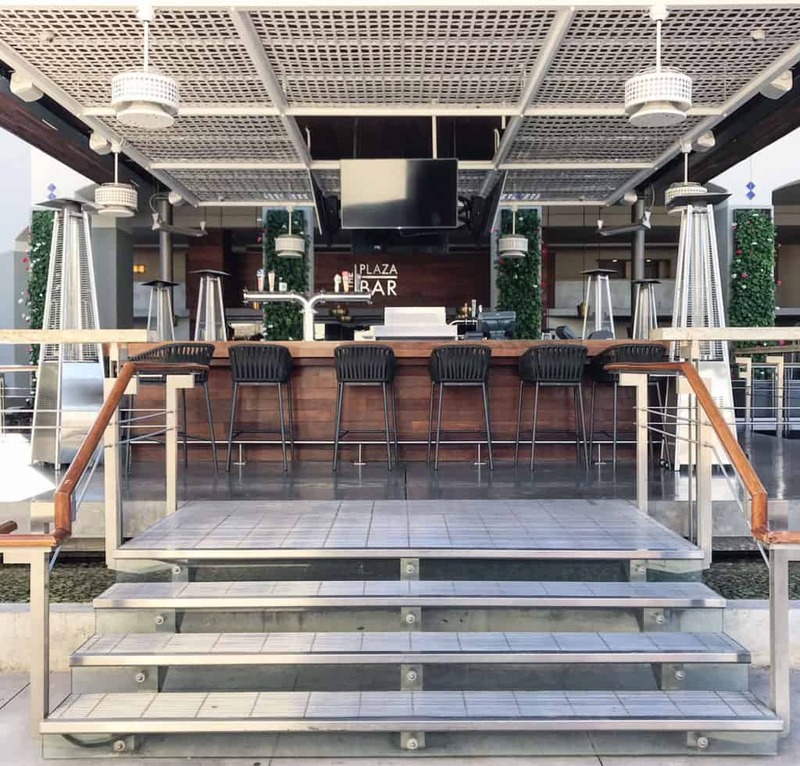 Oh girl, you are combining two of my favorite things: Fairmont hotels and Phoenix! I’ve always always always wanted to stay at this property, and I loved following your Instagrams through this weekend. Aerial yoga at a hotel, whaaaaat! Followed by a spa treatment and happy hour? That’s my idea of the PERFECT weekend. I’ve actually never been to Arizona but I’ve always wanted to go. The Fairmont looks amazing, but I wouldn’t expect anything less having staying at one before. Love the Lobby Dog. I would also be thrilled to try food from one of the chefs on Chopped. It’s one of my favorite shows. Lucky you! I love staying at Fairmont Hotels. (They have some really beautiful properties in Canada.) If I’m ever in Scottsdale again, I know where I’ll be staying!